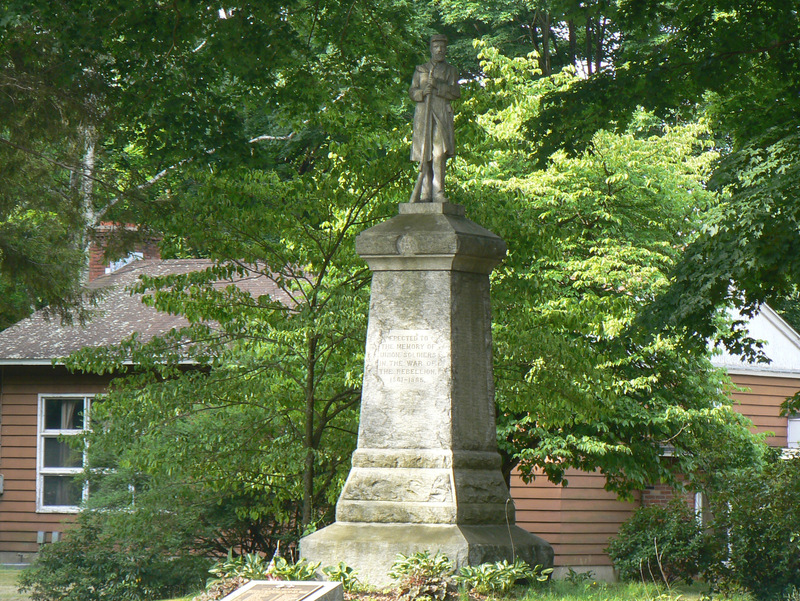 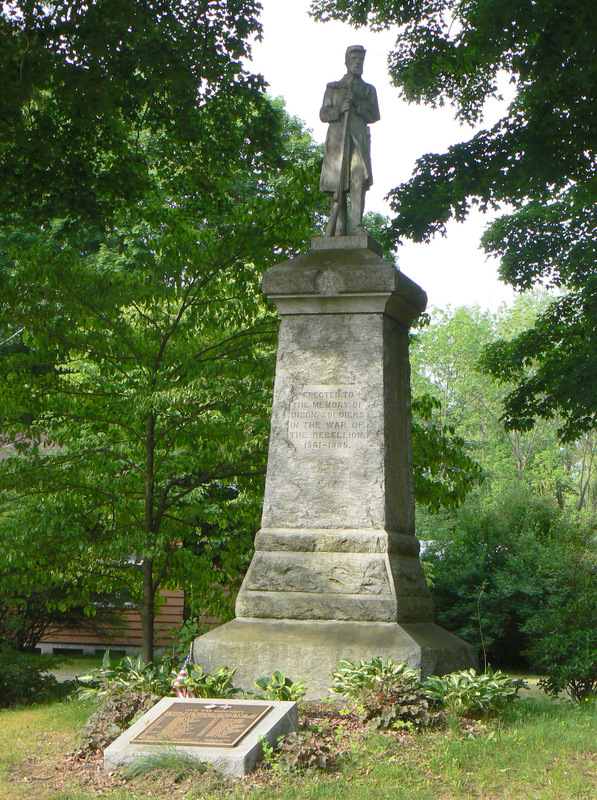 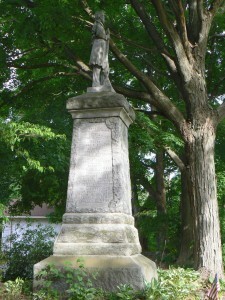 Simsbury honors its Civil War veterans with an 1895 monument in its Weatogue section. The Soldiers’ Monument features an infantryman standing with a rifle atop a rough granite pedestal. 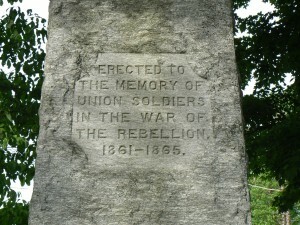 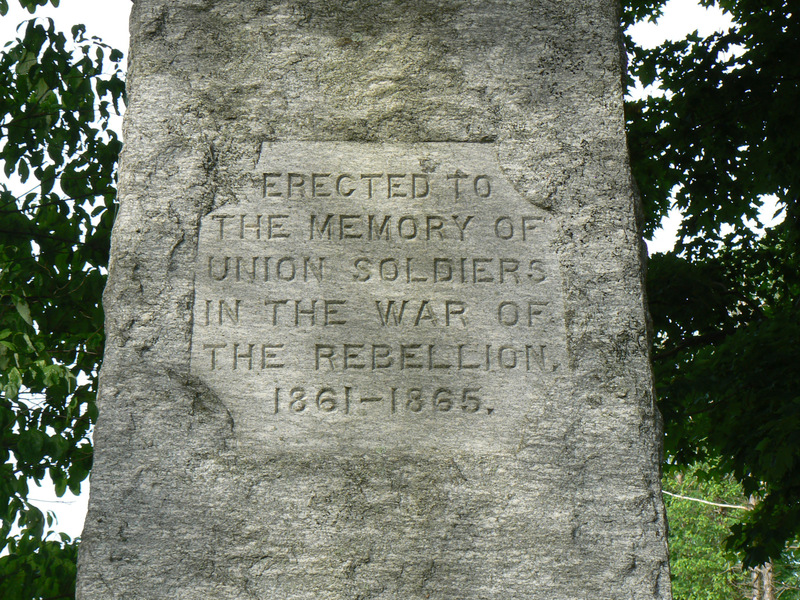 A dedication on the front (northeast) face reads, “Erected to the memory of Union Soldiers in the War of the Rebellion 1861-1865.” A GAR emblem also appears on the northeast face. 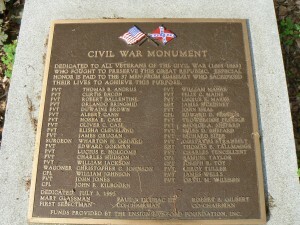 The monument’s northwest and southwest sides bear large panels inscribed with the names of local Civil War veterans. 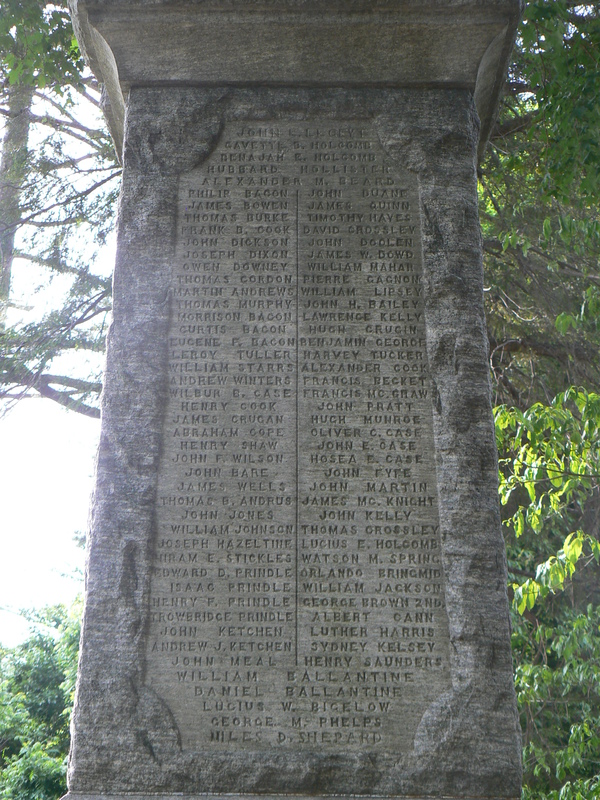 The southeast side is inscribed with the names of 15 local officers. 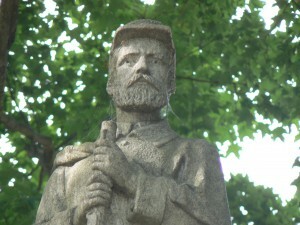 The infantry figure has more angular appearance than most Civil War monuments. 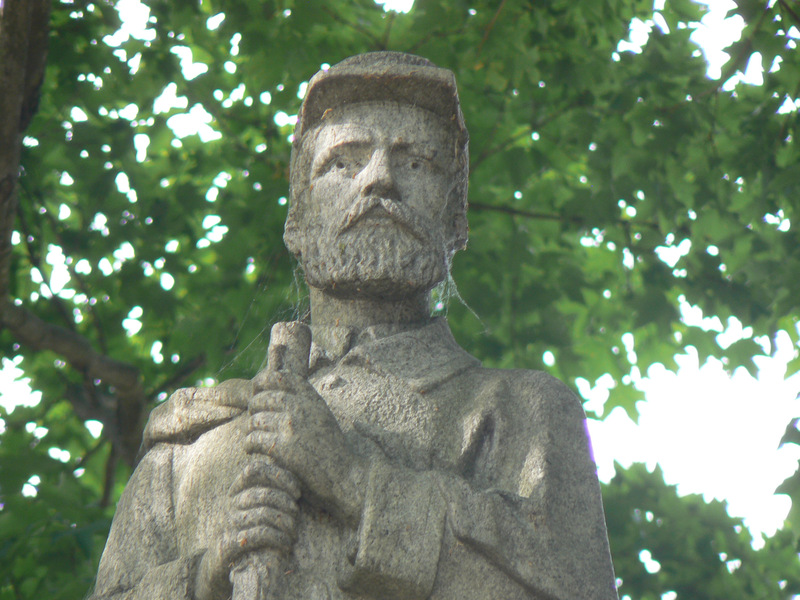 The monument was supplied by the Munson Granite Company, and the sculptor’s name isn’t readily available. 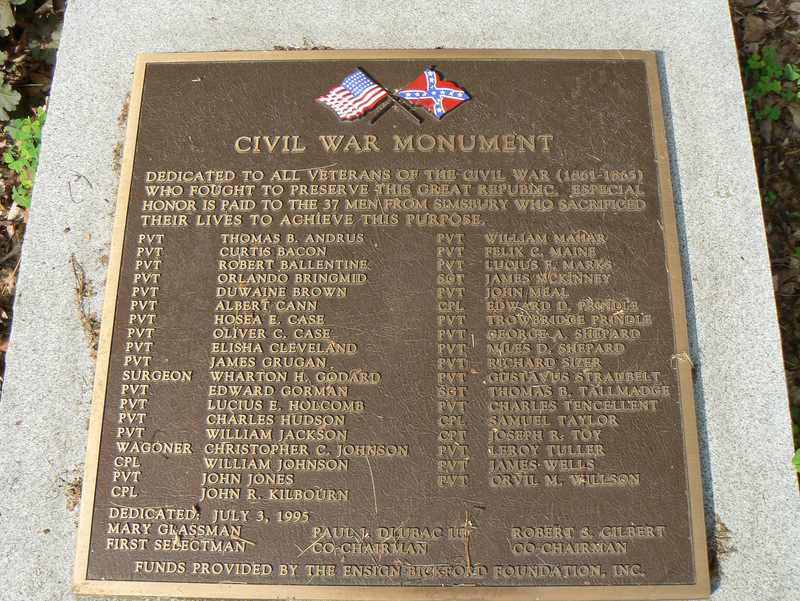 At the base of the monument, a dedication plaque was added in 1995 as part of the monument’s 100th anniversary. The plaque dedicates the monument to all veterans of the Civil War, and lists 37 Simsbury residents who were lost in the conflict. The monument stands in a small wooded area on Hopmeadow Street (Route 10), just south of the intersection with Sand Hill Road.